Moroccan style rugs were always quite popular, but nowadays they took interior design industry by storm – and not without a reason. 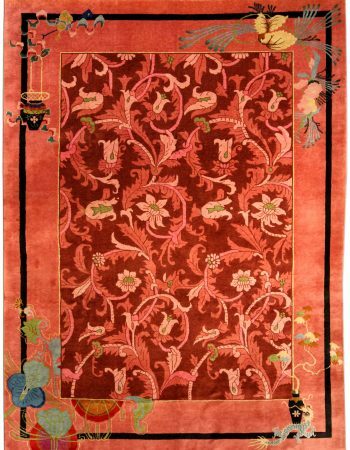 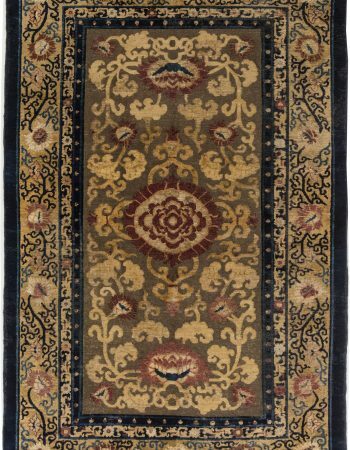 Any carpet aficionado will tell you that Moroccan antique rugs are unmatched in beauty and quality, as proven by this fabulous piece. 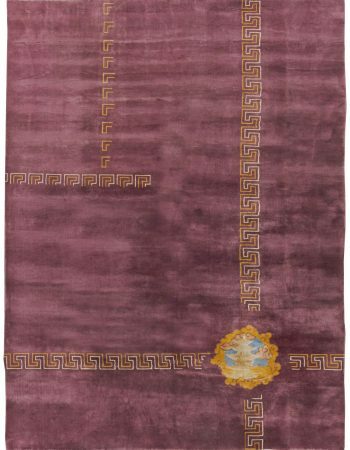 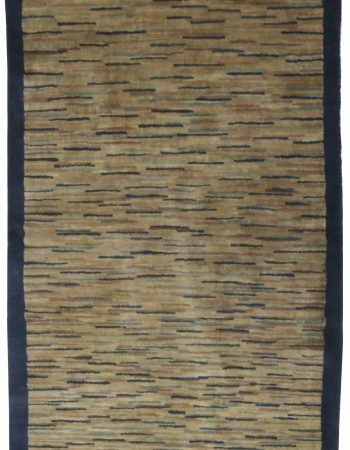 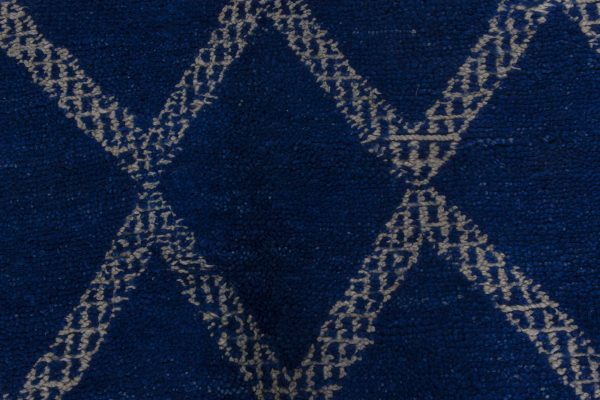 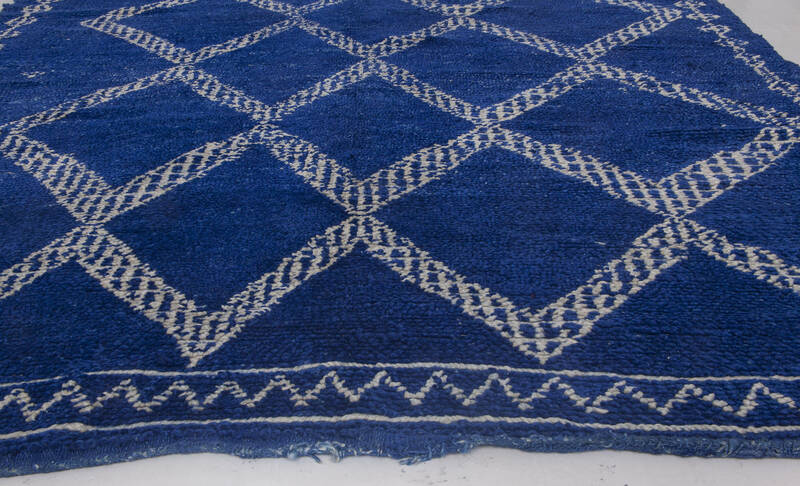 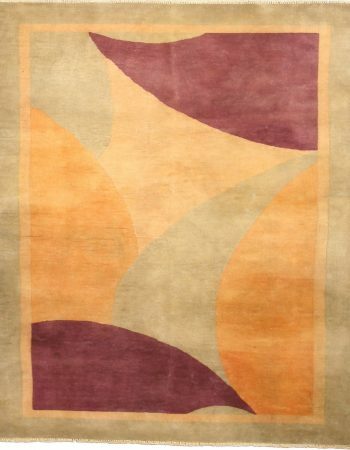 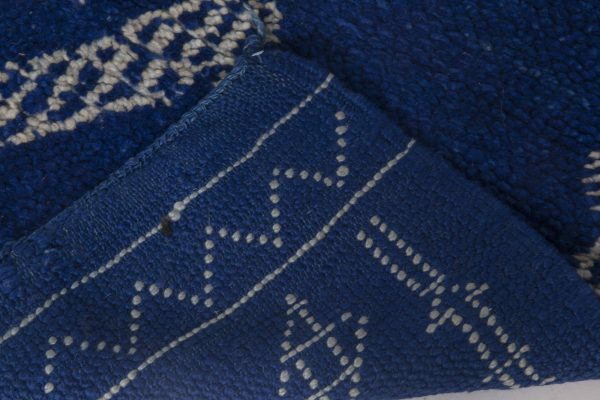 The vintage area rug was woven circa 1950 and despite its age is still in great condition, thanks to the high quality materials used during the process of weaving. 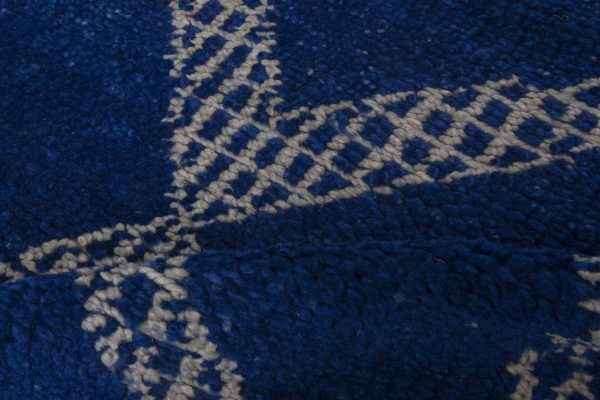 When it comes to its pattern, some people might think that it was designed by an amateur, but that could not be further from truth. 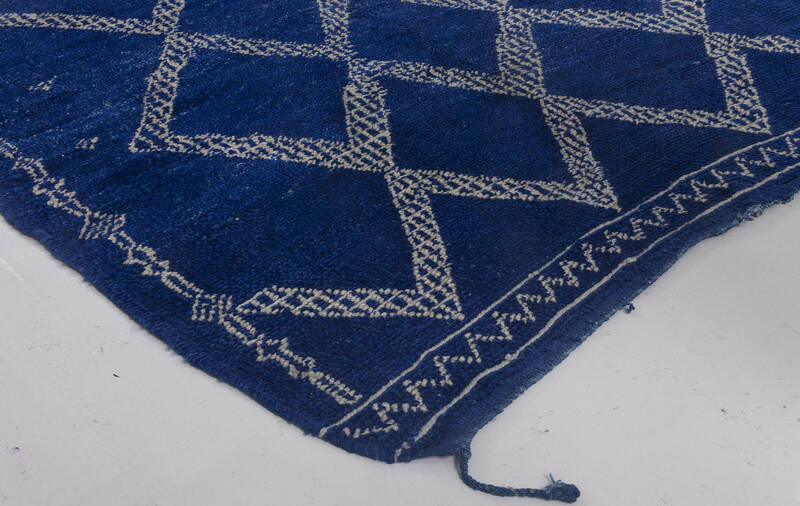 Those irregular rows of diamonds were made by one of the many great tribe craftsmen who never received formal education on weaving, but instead learned from themselves. 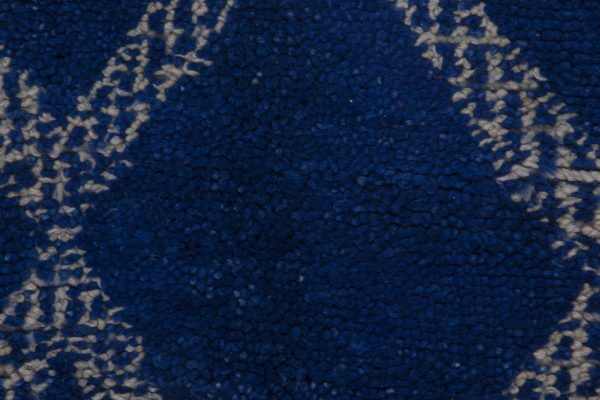 Those slight blemishes in the carpets pattern are nothing less than a proof of its authenticity. Color palette composed of dark blue and gray is bound to make any interior look simply astonishing.